Without getting to the politics of corporations, loyalties, patents, stock prices, or international intrigue, can I just say that Google is the new Apple?…the new Apple in the sense that they’ve earned the mantle of the hippest, coolest, most innovative and technologically edgy/highest quality products around. 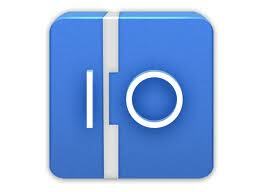 The Google I/O Developer’s conference is underway right now. At yesterday’s opening, the trend-setting tech giant made some significant announcements that will effect you and ostensibly how run your voice-over business. Coincidentally, I was in an online Google Hangout twice yesterday, once for the TV station, and once with some voice-over friends. I was struck in both situations by how much people DON’T know about the tools available on Google — incredibly enabling tools available on Google — for free! Never has Google worked harder to unify it’s products and services…all built on what it knows about you, and the world in general. Dozens of different apps, programs, and services are showing definite signs of stronger connecting threads, being tightened into a cohesive design that is ultimately about us. Are they making oodles of money? Yes. Are you benefiting with free services and best-of-class technology? Definitely. It would not be good for them to become a threatening monopoly, but as a free-market example that’s changing the world in a positive way, Google is about as good an example as you can find. Google’s new Chromebook Pixel is out and in just about every way meets or surpasses the design and functional quality of the best Mac laptops. Don’t believe me? Check out this review on the ChromeBook Pixel on Engadget. (BTW, it also has an Apple-like price). 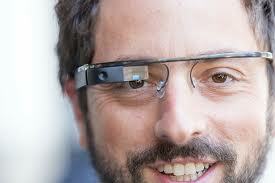 Google Glass. Any geek worth the duct tape on his black horn-rim glasses will tell you that they are drooling over this possibly culture-shifting invention. I’m not kidding. In a couple of years, half the population could be wearing these darn things. Not much is being said about Glass at the developers conference, but they don’t have to…it’s got momentum on its own. Here, the most obvious signs are in Google Plus. Wednesday, big changes in the look and feel of G+ were evident. But under the hood it’s even more impressive. Changes to the photo service…a multi-column layout…new features in Google HangOut, including standalone Google Hangout Apps. Google Maps have been refined. Google search is evolved. You can now speak questions into it, and get spoken answers back. Google Play Music All Access All Access lets you stream from curated genre collections and will automatically create and preserve playlists of new tracks based on what you already listen to. (http://googleblog.blogspot.com/). There are Google Cloud improvements, more location-based services, and more, but it gets a little esoteric. Here’s a great GeekSugar article on the G+ changes alone. Gmail deserves its own category, because it’s the runaway success Google hopes G+ will be, and Gmail is still the center of the universe for Google’s integration/gateway to all it’s other services (YouTube, Calendar, Drive, etc). Two days ago Google upped it’s free storage plan to 15 Gigabytes to be shared between Drive, Gmail, and G+ Photos. That’s 15 Gigs free cloud storage, just because Google likes your face. [The competitive fallout of that is noted in my “Ripple Effect” below.] You can now send money to friends with Google Wallet and Gmail. You can launch the new Google HangOut experience from Gmail, and you can add events to Google Calendar from Gmail. All of this is explained in Google’s Gmail Blog. When the 800 lb. Gorilla in the cage moves, all the other denizens have to adjust. Here are two examples of how smaller companies are reacting to Googles moves…resulting in more good news for us. COPY is a relatively new cloud storage service that was offering 5 Gigs of storage for it’s “free” plan. But now (alla sudden!) it’s offering 15 Gigs on it’s free plan (just like Google). For real. Copy is a promising service, and you can find out more about Copy’s 15 Gig free storage offer here. Tell ’em I sent you. I mean it. (use this code: https://copy.com?r=et4M0O). We both get more space if you mention that. SoundCloud is also reacting to Google’s moves. There’s added support for Google+ sign in, making it easier than ever to log in or create an account — just use your Google+ credentials. It’s also added sharing on Google+, so that you can share music & audio with your Google+ circles. This is only an added feature for Android users so far. Download here. Almost everything I’ve mentioned here can help in your voice-acting marketing (even the maps function). Begin with Gmail. Configure it to receive your email from whatever other service you now use, and so it even looks like you’re sending from that other service, complete with signatures and everything! Why? Because you’re never gonna want to leave the Gmail universe once you see all the integrations I’ve just written about here. It’s that good…all for free.